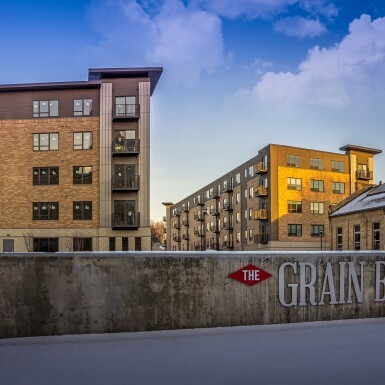 The Grain Belt is a perfect example of a successful merger of modern and historic. 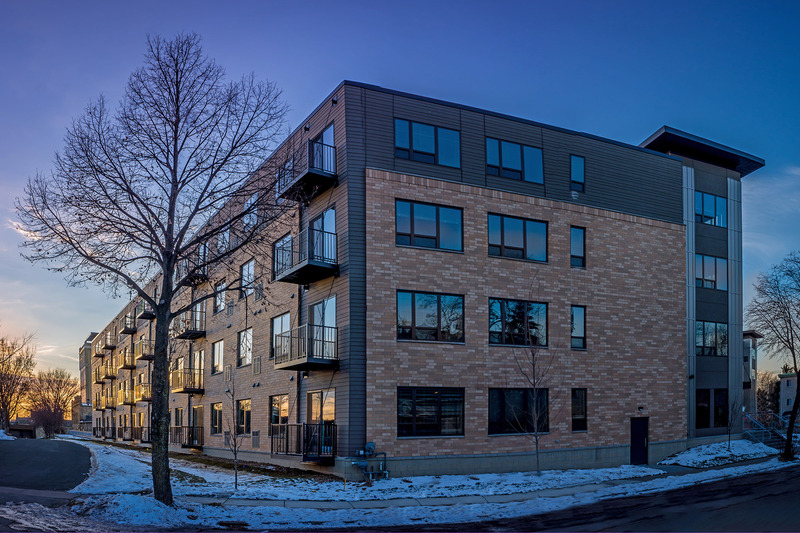 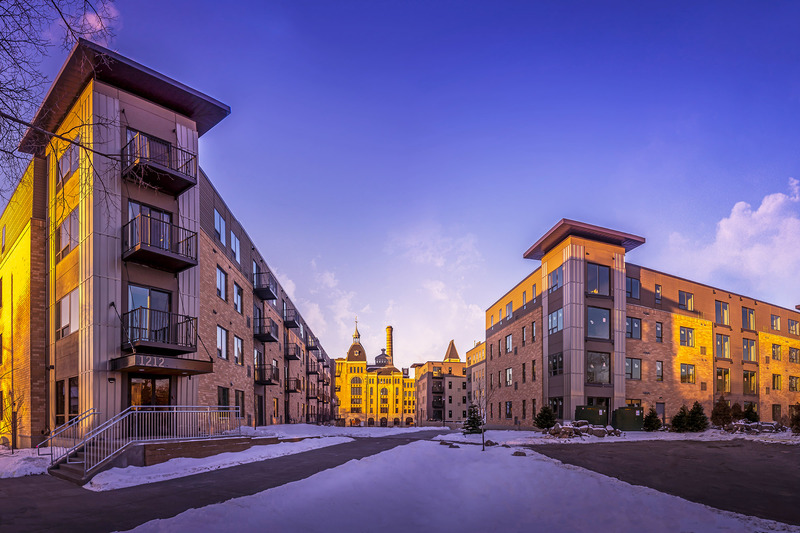 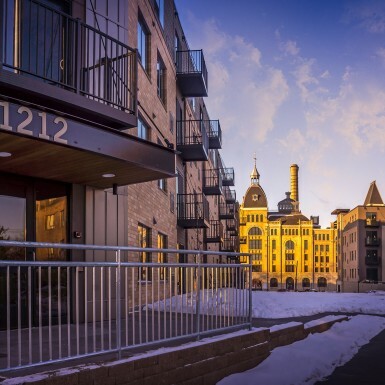 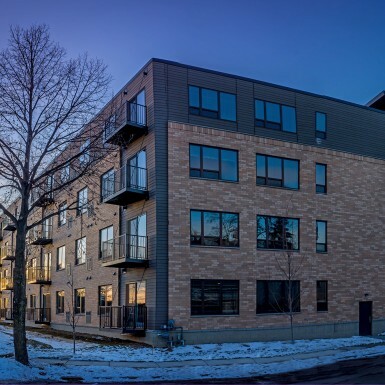 Formerly a vacant field, untouchable archaeological ruins, and dilapidated office building, Kaas Wilson and Everwood Development won a city-wide competition to redevelop the site in the historic Sheridan neighborhood of Northeast Minneapolis. 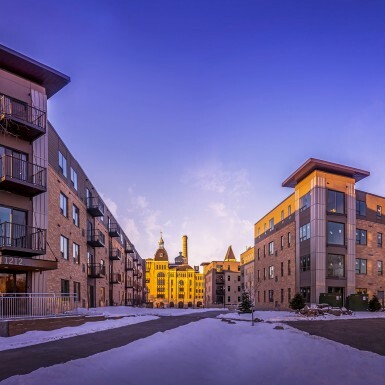 The project consists of two four-story buildings with 150 luxury units, connected by an underground parking garage. 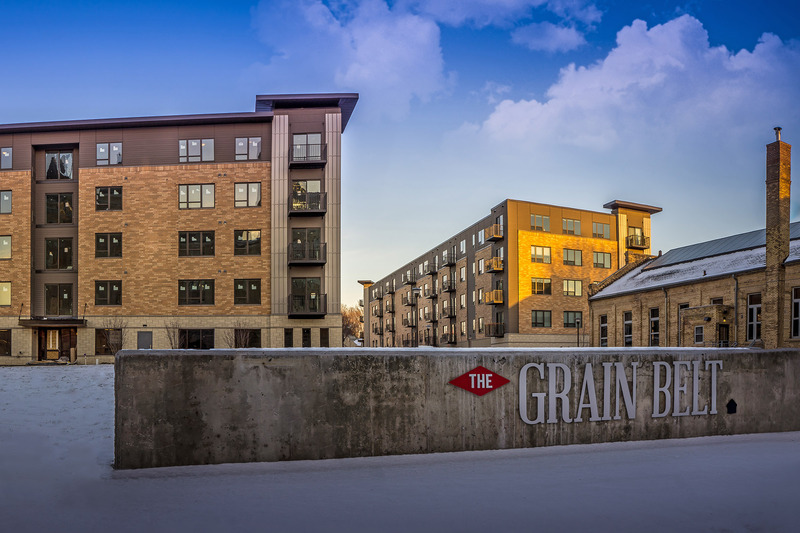 The project incorporates and outdoor plaza, business center, 24-hour fitness center, clubhouse, TV lounge and bar, and a unique Grain Belt Friendship Room. 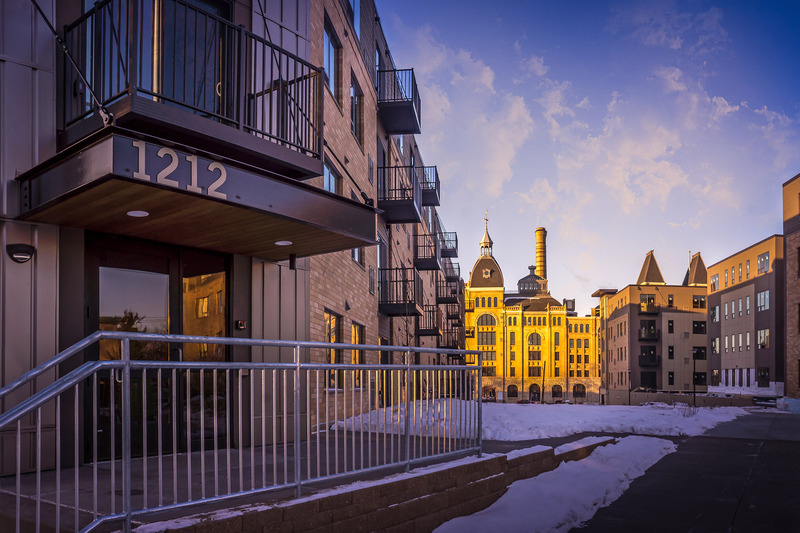 The apartment units include balconies, stain-less steel appliances, fireplaces, and some incredible views of downtown Minneapolis.